It seems to be raining computing devices for development - with features that can (or will soon) address the need for ruggedness, security, use by multiple students, and versatility. Clearly, this is just the beginning of technology becoming a low cost commodity that can serve the needs of education in a globalized world. I am James Teicher, Director of CyberSmart Africa and I think that the discussion of ICT4D technologies needs to be enhanced with an additional dimension - learning. The desktop versus laptop discussion is missing a critical aspect -- how the technology configuration serves the needs of education - which is why computers are being purchased in the first place. Furthermore, the learning component, just like the computers, must be appropriately accounted for, and budged into the program components. As most practitioners understand, the training, content, and support of ICT4D costs substantially more than the equipment, and is typically underfunded (reference the ongoing ICTworks conversation revolving around OLPC in Peru). This oversight is bound to perpetuate itself, and implementations with great potential will suffer, if learning objectives are not part of every comparative discussion of technology that serves ICT4D. The UNESCO ICT Competency Standards Implementation Guidelines (supported by an extensive body of research) repeatedly emphasize that digital resources should be used directly at the point of instruction, integrated with the curriculum and teaching practices "…within the classroom to support and reinforce learning activities and social interactions." Furthermore, a key factor in order to use technology to impact student learning is to ensure that teachers have sufficient and ongoing professional development. In other words, without appropriate advance planning, budgeting, and expertise, neither laptops or desktops will be used effectively. Desktops or Laptops -- which serve learning better? In developing nations, desktops sit in a secure computer room; and there is typically very little budget for the kind of pedagogical training necessary to integrate what goes on in the computer room with the ability to complement classroom instruction. Furthermore, the lack of reliable electricity makes it next to impossible to keep student access to the computer room on schedule. The net result is that use of desktops in the ICT4D context is relegated to catch-as-catch-can ICT skills training -- documented time and time again to be a waste of resources. All of the ICT skills students learn today will be obsolete by the time they graduate; and appropriate ICT skills training -- in order to be true to the UNESCO standards -- should really occur in the context of meaningful, learner-centered instruction. I tend to be a fan of computers that move between classrooms simply because, when used effectively, they can have a direct impact on regular instruction. Furthermore, desktops require a degree of infrastructure investment (a secure computer room) that makes it very difficult to reach the schools with poor infrastructure. This leaves out the vast majority of schools in sub-Saharan Africa. At CyberSmart Africa, we have made learning the central element of everything we do; and for that reason, we focus on teacher professional development and learning content to drive a whole-class, student-centered instructional approach. Chief of Party, GBI Alliance: In 2010, NetHope and USAID formed the Global Broadband and Innovations (GBI) Alliance with the goal of providing leadership on a range of ICT related activities across the NetHope and USAID development portfolios. The GBI Alliance supports broadband and mobile network-enabled applications for programs such as economic growth, health, education, and agriculture. NetHope is now seeking a passionate and experience development professional to serve as Chief of Party for the GBI Alliance. The ideal candidate will provide strategic leadership and oversight to all aspects of the program and will leverage public-private partnerships to achieve program goals. S/he will act as liaison with senior-level representatives of USAID, NGOs, private sector partners, and the broader development community. More information is available here. Senior Information and Communications Technologies Specialist: The American Institutes for Research (AIR) is one of the leading behavioral and social science research organizations in the world. AIR's International Development Program (IDP) seeks to enhance the capacity of developing countries to improve their quality of life through education and social development. IDP is seeking a Senior ICT Specialist who will provide technical leadership and support in the building of IDP's work in applied information and communication technologies, specifically in the fields of education, youth, and workforce development. The position is not listed on AIR's website, but you can see more details at Devex. Application deadline is May 27. 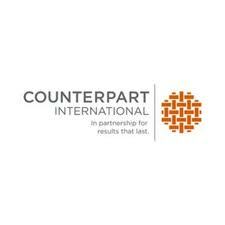 Chief of Party: Counterpart International is seeking a Chief of Party to manage an ICT program to support civil society organizations, human rights activists, and freelance journalists worldwide. Based at Counterpart's headquarters in Arlington, VA, the COP will be responsible for working with various stakeholders to accomplish the delivery of ICT-based services from information security firms to developing global civil society organizations. The ideal candidate will have proven experience managing large groups, a background working with civil society groups, and a thorough knowledge of ICT and media. See here for more information.